Sir Charles Vernon Boys FRS (15 March 1855 – 30 March 1944) was a British physicist, known for his careful and innovative experimental work. 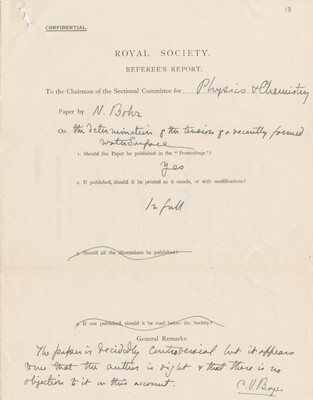 Boys achieved recognition as a scientist for his invention of the fused quartz fibre torsion balance, which allowed him to measure extremely small forces. He made the fused quartz fibres for his instrument by attaching a quartz rod to a crossbow quarrel, heating the rod to the point of melting, and firing the crossbow. By this means he produced fibre so thin that it could not be resolved with an optical microscope. 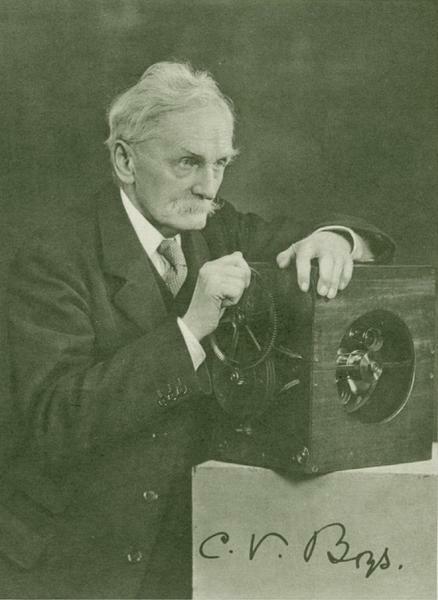 He used this invention to build a radiomicrometer capable of responding to the light of a single candle more than one mile away, and used that device for astronomical observations. In 1895 he published a measurement of the gravitational constant G that improved upon the accuracy achieved by Cavendish. Boys' method relied on the same theory as Cavendish's, but used two masses suspended at one height and two nearby masses suspended at a different height, to minimise the unwanted interaction between opposite masses. He was a critic of the solar design of Frank Shuman, so Shuman hired him, and together they patented a "Sun-Boiler", which is similar to modern day parabolic trough solar power plants.